You are here: Home › News & Media › Can I Dismiss My Bankruptcy Case? There is NO Absolute Right to Voluntarily Dismiss a Chapter 7 Case. When you avail yourself of the protections provided under Chapter 7 Bankruptcy, you give up the opportunity to voluntarily dismiss your case. This is especially true if there are assets in the case which can be liquidated and disbursed to creditors. You do have the right to file a Motion to Dismiss, but that does NOT mean your motion will be granted. There must be notice given to creditors and a hearing must be held and the Debtor must show that “cause” exists. The court will look at several factors to determine if “cause” exists to dismiss and whether your creditors will be prejudiced by your case being dismissed. 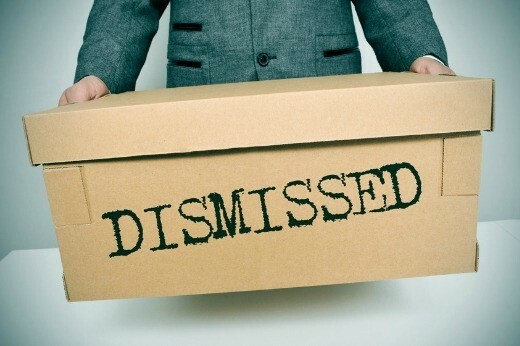 In general, you should NOT expect your Chapter 7 case to be dismissed once it is filed. There IS an absolute right to Voluntarily Dismiss a Chapter 13 Case, unless you’ve committed fraudulent acts or converted from another Chapter of bankruptcy. Unlike Chapter 7 Bankruptcy, there IS an absolute right to voluntarily dismiss your Chapter 13 case … unless you’ve committed fraudulent acts. If you initially file a Chapter 13 and then find out later that you just can’t afford it anymore you have the right to voluntarily dismiss your case. But if you’ve committed fraudulent acts (e.g., not disclosing assets, lying on your bankruptcy paperwork, etc.) then do NOT expect the court to allow you to voluntarily dismiss your case. The court, again, will determine if your creditors would be prejudiced by your case being dismissed. Note that the right to voluntarily dismiss a Chapter 13 case does not apply if you converted from another Chapter (7, 12, 11) to Chapter 13. ¿Puedo disolver mi caso de bancarrota?